So far we have learnt about the most popular three criteria of big data: volume, velocity and variety. Jennifer Edmond suggested adding voluptuousness as fourth criteria of (cultural) big data. I will now discuss two more “V” of big data that are often mentioned: veracity and value. Veracity refers to source reliability, information credibility and content validity. In the book chapter “Data before the Fact” Daniel Rosenberg (2013: 37) argued: “Data has no truth. Even today, when we speak of data, we make no assumptions at all about veracity”. Many other scholars agree with this, see: Data before the (alternative) facts. What has been questioned for “ordinary” data seems to hold true for big data. Is this because big data is thought to comprise statistical population data, not just data of a sample? Does the assumed totality of data reveal the previously hidden truth? Instead of relying on a model or on probability distributions, we could now assess and analyse data of the entire population. But apart from the implications for statistical analysis (higher chances of getting false-positives, need for tight statistical significance levels, etc.) there are even more fundamental problems with the veracity of big data. Take the case of Facebook emoji reactions. They have been introduced in February 2016 to give users the opportunity to react to a post by tapping either Like, Love, Haha, Wow, Sad or Angry. Not only is the choice of affective states very limited and the expression of mixed emotions impossible but the ambiguity in using these expressions themselves is problematic. Although Facebook reminds its users: “It’s important to use Reactions in the way it was originally intended for Facebook — as a quick and easy way to express how you feel. […] Don’t associate a Reaction with something that doesn’t match its emotional intent (ex: ‘choose angry if you like the cute kitten’)”, we do know that human perceptions as well as motives and ways of acting and reacting are manifold. Emojis can be used to add emotional or situational meaning, to adjust tone, to make a message more engaging to the recipient, to manage conversations or to maintain relationships. Social and linguistic function of emojis are complex and varied. Big Data in the case of Facebook emoji reactions then seems to be as pre-factual and rhetorical as “ordinary” data. Value now refers to social and economic value that big data might create. When reading documents like the European Big Data Value Strategic Research Innovation Agenda one gets the impression of economic value dominating. The focus is directed to “fuelling innovation, driving new business models, and supporting increased productivity and competitiveness”, “increase business opportunities through business intelligence and analytics” as well as to the “creation of value from Big Data for increased productivity, optimised production, more efficient logistics”. Big Data value is not speculative anymore: “Data-driven paradigms will emerge where information is proactively extracted through data discovery techniques and systems are anticipating the user’s information needs. […] Content and information will find organisations and consumers, rather than vice versa, with a seamless content experience”. 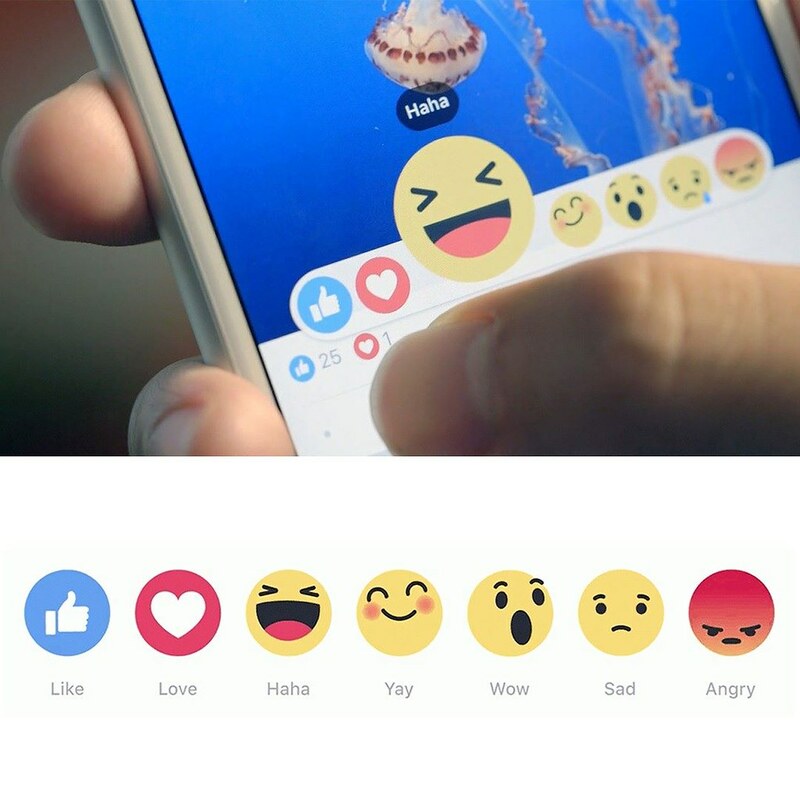 Facebook emoji reactions are just an example of this trend. Analysing users’ reactions allows not only for “better filter the News Feed to show more things that Wow us” but probably also to change consumer behavior and sell individualized products and services. Featured image was taken from Flickr.